Abandonment is the desertion of an elder by anyone who has the responsibility for care or custody of that elder. This includes the willful forsaking of a dependent elder. Elder abandonment is considered a serious form of elder neglect and abuse since it may constitute leaving an elder alone in an unstable place or giving too little or too much medicine, causing physical, emotional and mental pain to an elder. Elder abandonment can be noticed by symptoms such as deserting an elder at a hospital, nursing facility, shopping center or other public location, or if the elder reports they have been abandoned. If a caregiver exhibits elder abandonment, it may leave an elderly person confused and unable to attain needs. They may feel loneliness and depression, unable to eat, bathe or see friends, and feel sick. An elders life could be put in serious danger such as malnourishment and serious medical problems. An elder abandonment lawyer has experience dealing with abandonment issues. A lawyer can conduct a thorough examination and review of the elder abuse case, getting the appropriate documents and speaking to family members to go over options. An elder abandonment lawyer can help you confront nursing homes or other institutions who have been careless and help get you the compensation you need. If your loved one has gone through abandonment, contact Attorney Search Network today. We can help you find an elder abandonment lawyer to help you with abandonment issues. If you have any questions about the information provided above, please contact Attorney Search Network. 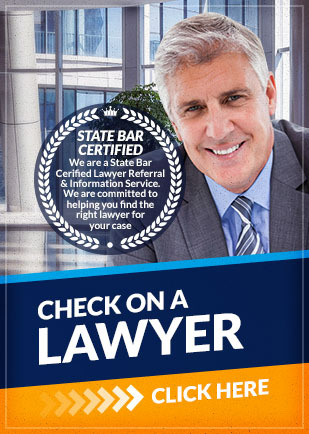 Contact Attorney Search Network for a Lawyer Referral to a Elder Law Lawyer with Elder Abandonment expereince.